Senior BJP leader and union minister Arun Jaitley has been on a forced sabbatical since his kidney transplant. And Jaitley during this time has been writing blog posts since June 4. 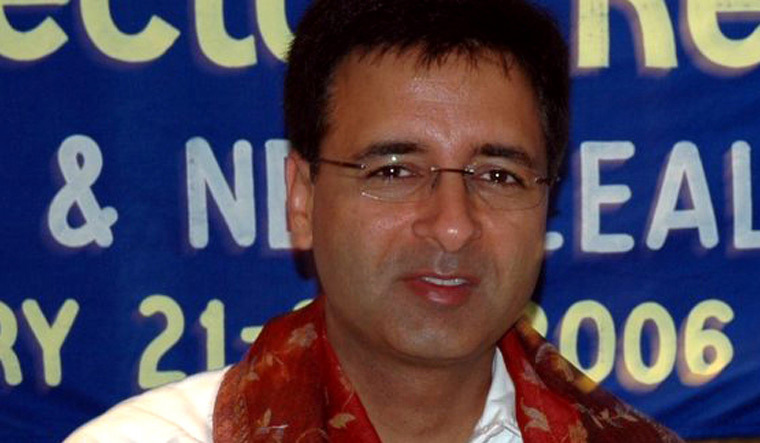 The blogs have been called out by Congress leader Randeep Singh Surjewala in a series of tweets. “Truth has a way of coming out and cannot be ever suppressed. Jaitley ji, your Govt has left our economy to dire straits … investment is in doldrums,” Surjewala said. Jaitley ji, Investment is in doldrums. The GDP Back Series Report 2011 was made public earlier this month. According to the draft report, the economy recorded a 10.08 per cent growth rate in 2006-07 under then Prime Minister Manmohan Singh, the highest since liberalisation of the economy in 1991. The government said the report was at discussion stage and its acceptance will be based on wider consultation. Surjewala claimed that the gross fixed capital formation as a per cent of GDP was 34.3 per cent in 2011-12. He added that in 2013-14,it was 31.3 per cent. And in the past three years, it has remained constant at 28.5 per cent and has impacted growth. Meanwhile, Jaitley on August 26 wrote another blogpost and drew a comparison between 2014 and 2018 International Monetary Fund (IMF) staff reports in order to highlight the economic growth and transformation that took place under Prime Minister Narendra Modi government. Jaitley, last month had also written a post criticising Rahul Gandhi. “Every time I listen to the view of Shri Rahul Gandhi, both inside and outside Parliament, I ask myself the same question – How much does he know? When will he know? Listening to his speech delivered in Madhya Pradesh today reaffirms my curiosity about the answer. Is he being inadequately briefed or is he being a little too liberal with his facts (sic)," he wrote. Rahul Gandhi had targetted the Modi government by saying that it favours businessmen and ignores the common man. Jaitley denied the Congress president's allegation that the Central government waived the loans of Rs 2.5 lakh crore of the 15 top industrialists. “"The facts are to the contrary," Jaitley wrote in his post. Jaitely wrote another post on IBC and what it entails. He targetted Rahul Gandhi again and went on to say that the party (Congress) was obsessed with the prime minister.